On World Refugee Day, we remember that refugees have always been with us. Doctors and health workers have worked with refugees throughout history – many have personal experiences as asylum seekers and migrants themselves. You can find traces of many such stories in our collections. By tracking stories about refugees you reveal many of the major conflicts and disasters of the past. Just limiting myself to the 20th century I found myself moving through two world wars, East European uprisings in the 1950s and 1960s, the expulsion of Asians from Uganda and boat people fleeing Vietnam in the 1970s. World War II caused the biggest displacement of populations in the 20th century, and the MOH reports also detail the reception and treatment of the “Foreign War Refugees” in this period. Inevitably such a large influx of migrants raised concerns. For the Eugenics Society these concerns went beyond economics and highlighted a moral dilemma for the host country: some migrants are more welcome than others. The Eugenics Society was concerned about the intellectual and social pedigree of WWII refugees and wrote to the Ministry for details about their marital status, number of children, and so on. In true “Yes Minister” mode, the Ministry was suitably circumspect and neither gave nor denied access. 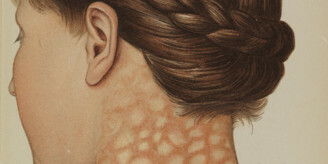 The many scientists and medical professionals who sought asylum in Britain during World War II would probably have met the Eugenics Society standards of acceptability. But as their stories show, even for the well-educated refugee, obtaining work in a new country was not an easy matter. When in 1939 the Central Office of Refugees required a reference so that the noted German refugee Hans Grüneberg could be “entitled to undertake civilian medical service in time of emergency” he was fortunate enough to have Professor J B S Haldane as a sponsor. There were other issues for refugees arriving from hostile countries. Honor Fell, Director of Strangeways Laboratory, employed many refugee scientists in the 1930s. She wrote to the Director of Military Intelligence, in 1939, refusing to supply information about “the aliens in this laboratory”. She found it “extremely distasteful” to be asked for information so that they could be secretly monitored. 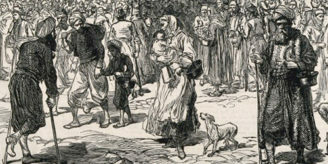 The arrival of diverse groups from around the world on their doorstep also provided unexpected opportunities for some. Arthur Mourant, seeking blood specimens for his research into genetic blood groups, was able to track down Basque refugees in London with the help of Haldane. In the Medical Women’s Federation archive are letters that highlight the predicament of Czech medical students and doctors based in the UK who were left physically and financially stranded by the Prague uprising of 1968-9. Many of the students were given assistance to help them complete their education. The United Nations High Commissioner for Refugees puts the number of refugees in the world at 16.7 million. Of these only 1.2 million seek asylum in the developed world. The majority end up in camps in neighbouring countries – 86% of refugees are hosted by developing countries. And as for displaced peoples – those who flee their homes but remain within their country’s borders – they currently number around 33.3 million. The traces of these people are found in the accounts of medical and health workers who travelled abroad to help with humanitarian crises. A brief note in the 1971 MOH report for Havering on clinic doctors states: “During the months of June and July Dr. I. Nagpaul was given leave by the Council to go to India to help with the medical relief of the refugees from the war in East Pakistan [Bangladesh War of Independence]”. “We heard of the dramatic rescue of 346 Vietnamese refugees in the South China Sea off Taiwan by the British ship Wellpark. We were asked to make hasty arrangements for their reception…. We had to find a place large enough to accommodate them all, employ extra staff, including interpreters”All within the space of six days. Half the world’s refugees are children. MEDACT organised a seminar on The Emotional Needs of Refugee Children and Their Families and Their Implications for Professionals – a reminder of the impact of conflict on children in particular. 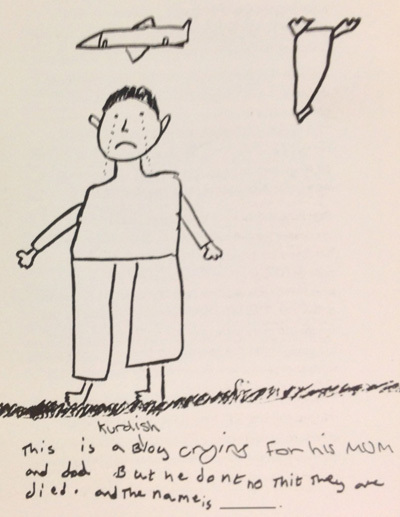 From the leaflet Integrating Refugee Children into Schools, 1993. Wellcome Library reference: SA/MED/H/1/3/4. The traces of refugees in our collections peter out in the 1980s and 1990s because of the inevitable gap between records in use and those deemed historical. No doubt we will, in time, have stories from Syria, Afghanistan and North Africa the current top three sources of refugees in the world. The Library has produced a source guide of Refugee Scientists and Medical Practitioners in our archive collections.